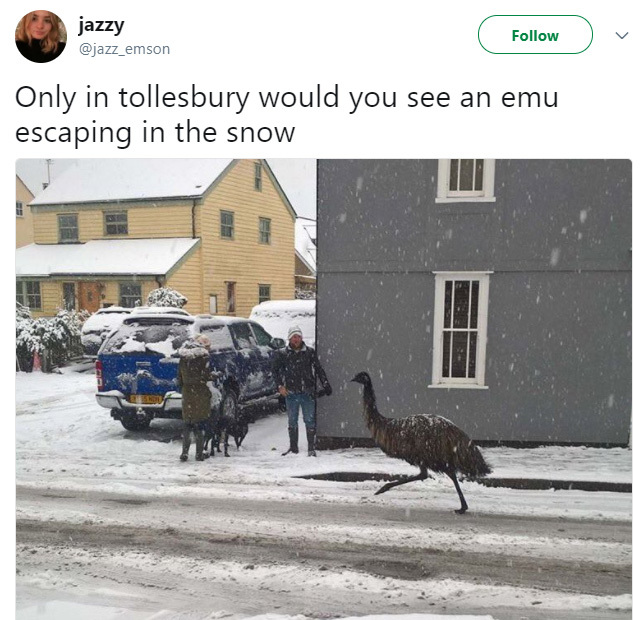 An emu has been returned to its home in a small English village after escaping and running through the town’s snow-covered streets. The emu, who lives in Tollesbury, a small village near the coast in Essex, was spotted running through the streets and through a graveyard. 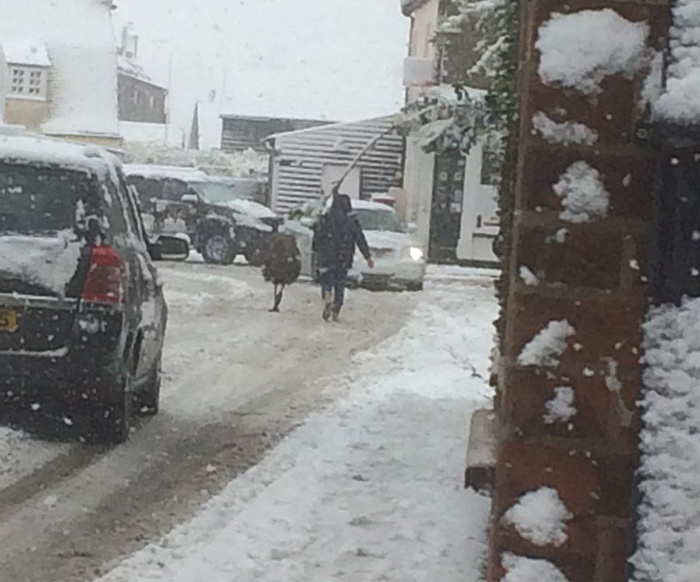 “We were all preparing to go out in the snow and suddenly I saw it run past me — we were all a bit shocked,” Jasmin Emson told Essex Live. It is not clear how the emu escaped, but after being chased through the graveyard it was reportedly put in a headlock and taken home.